We deal with a vast array of industry leading suppliers meaning we are able to advise and source you the best suited products for your individual needs. A wide range of quality manufacturers are within quick reach when you deal with us, making the process of purchasing easy. We are happy to get involved and supply any of the following below. 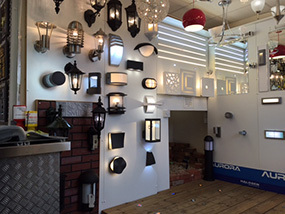 # Lighting – Anything from whole house illumination with the latest LED technology to individual bathroom mirror lights, submersible lights for a jacuzzi and outside decking lights. # Heating & Ventilation – Offering solutions for whole house ventilation to storage heaters or oiled filled electric panel radiators. 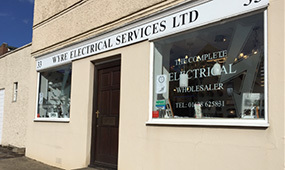 # Cables & Accessories – Everything you need to ‘first’ fix a residential or commercial property and also ‘second’ fix. Items available in stock range from switches, sockets, grommets and plaster board fixings, to earth sleeving and junction boxes and various types of electrical cable! # Underfloor Heating – Self-explanatory, a warm floor is a comfy floor. We can provide a tailor made service and supply everything from insulated underlay boarding to a high tech glass LED touchscreen thermostat. # Lamps – We are able to source most lamps on the market, from small oven lamps or large industrial metal halide to the most advance LED’s on the market. We are also able to supply control gear for most types of fittings. 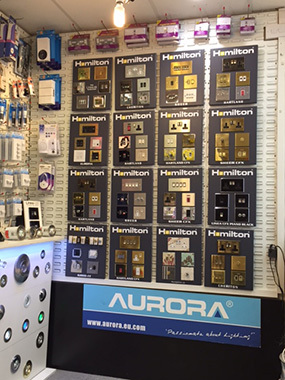 # Specials – We welcome any range of enquiry, be it from intruder alarms, CCTV, fire alarm panels, test equipment and tools or made to measure LED strip cut your exact requirements !